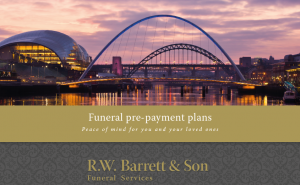 What are funeral disbursements? Disbursements are costs that are out of the control of the Funeral Director and have to be paid to a third party. Cremation fee – this is the cost of the cremation itself. Grave fee -the fee for the purchase of a grave. Grave opening fee- this is the fee for the opening of a grave purchased or a grave already purchased. Doctors certificates- Doctors fees- a two part form that is required by law to be completed by two doctors in order for a cremation to take place (this fee is not applicable if the death is being dealt with by the coroner). Minister fee – a fee for the minister to take a funeral service.